Ever since its debut in 2015, the Datsun GO+ has been the most affordable MPV you can buy in India. And now, Datsun has launched a facelift model with much needed safety tech, along with other modern-day features and cosmetic enhancements. On the outside, there is a new grille and the bumper now has a lot of creases to make the front look sharp and modern. There is set of vertically stacked LED DRLs as well which are bright and compliment the new look. Inside, there is a new dual-tone dashboard which gets a 7-inch capacitive touchscreen which is quite responsive and supports Apple CarPlay and Android Auto. On the safety front, you now have dual front airbags, ABS with EBD, BA, rear parking sensors and follow-me-home headlamps as standard. We have driven it and you can read our first impressions here. Datsun GO Plus prices start at Rs. 3.86 lakh for petrol and goes upto Rs. 5.72 lakh. Datsun GO Plus is available in 5 variants and 5 colours. Share your experiences with GO Plus 2018? The claimed ARAI mileage for the Datsun GO Plus petrol is 19 kmpl. Q. How is the performance of the car? It can reach the speed 160+/hr.Its body is delicate and we can feel little vibrations. Low in maintaince. The back seat is Either luggage or kids can fit.It's been 2 years so far all good. Q. Go plus ka resale value kya h market me? Q. Can we go for this car ? What about its engine pick up and capacity? The changes aren't biblical, sure. But are they enough to warrant your attention? 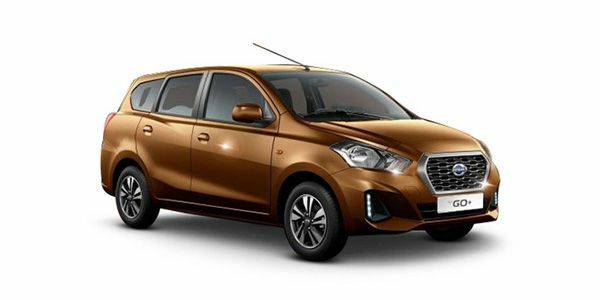 Datsun Go And Go+ Facelift To Get Android Auto And Apple CarPlay! New photos and details revealed by Datsun show cars which could be really popular in their segments, will these cars be priced as competitively as they are now? Datsun go plus is a comfortable and good car for a family. Confused about Datsun GO Plus?